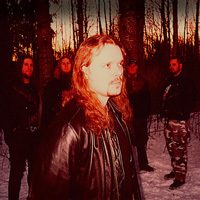 In 2003, Christian Älvestam (Unmoored, Incapacity, Solar Dawn) asked his friend and co-member of his other bands, Henrik Schönström, if he would be interested in handling the drums in what would later become Torchbearer, which, of course, he was. They started to look for suitable members with the right background and personality. Finding musicians was not that hard. Älvestam had been in contact with Göran Johansson (Setherial, Chaosdaemon) for a few years and the idea of doing something together had been ever present, but the opportunity hadn’t yet come up, until now. Johansson accepted the invitation as he had been looking forward to work with Älvestam for quite some time. Pär Johansson (Satariel) was at least equally enthusiastic, as he and Älvestam also had been pondering the idea of working together. 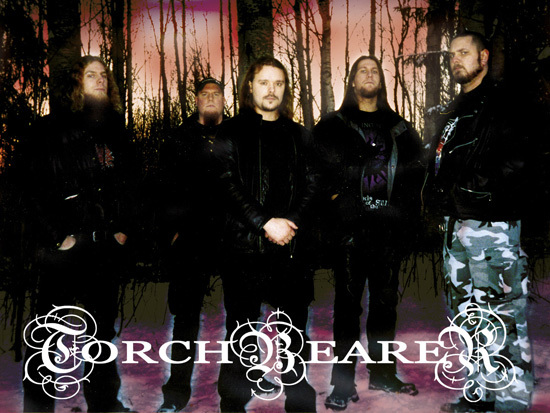 He invited his co-member from Satariel, Mikael Degerman, who was already acquainted with the other members, and the line-up for Torchbearer was complete. 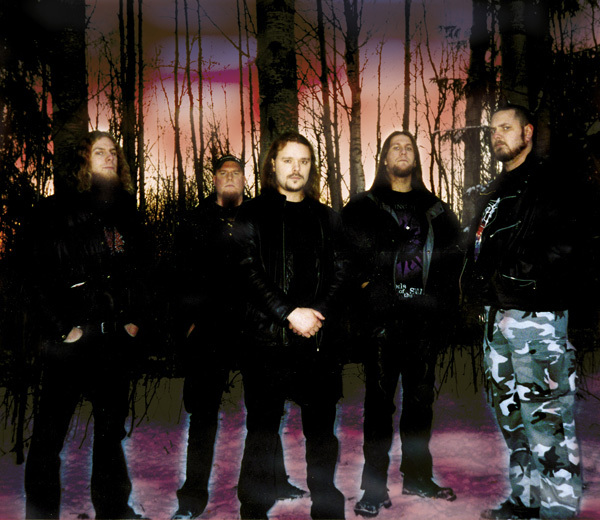 The collaboration between the five members began with the exchanging of ideas and concepts, and to their surprise they found out that they all had a similar vision of how the band should sound… and slowly the album “Yersinia Pestis” was conceived. 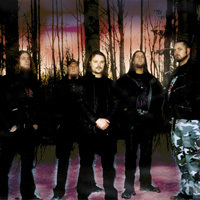 In December 2003, the band entered Black Lounge Studio to record their debut album, with Jonas Kjellgren (Carnal Forge, Centinex) behind the mixing console. After two weeks of long days and intensive work at Black Lounge, and some additional recordings after the studio sessions, the recording process was finally finished. 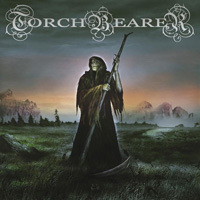 Peter in De Betou and Torchbearer then mastered “Yersinia Pestis” at Tailor Maid, adding those final touches to complete the album. Torchbearer‘s “Yersinia Pestis” is a raw mixture of death- and thrash metal, enhanced with cold elements of black metal.